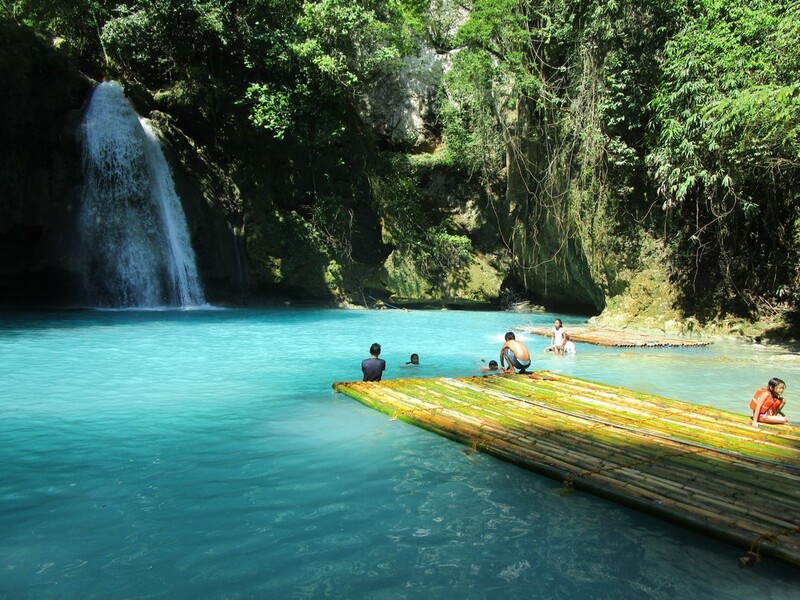 Kawasan Falls is located in Badian, west side southern of Cebu. 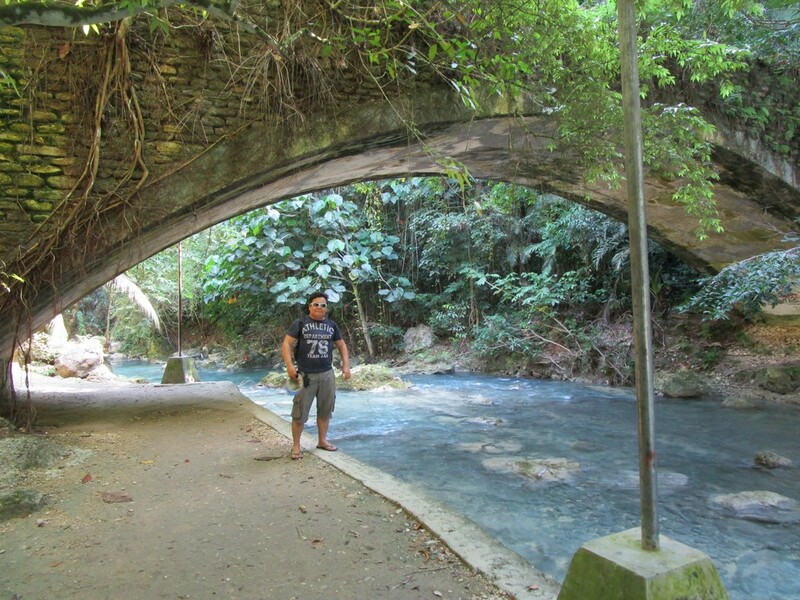 It is a hidden treasure inside the mountains of Barangay Matutinao, Badian. A gentle hush of falling cold water! It’s about 3hrs bus ride from the City of Cebu. From the highway, you can take a stroll.. it’s fun to go by foot rather than riding a habal-habal. You can jam along with fellow goers too. Along the road you can see several souvenir items, people selling stuff and foods. What’s a plus is you can enjoy the view of the waters itself at road sides. You can even touch and splash. 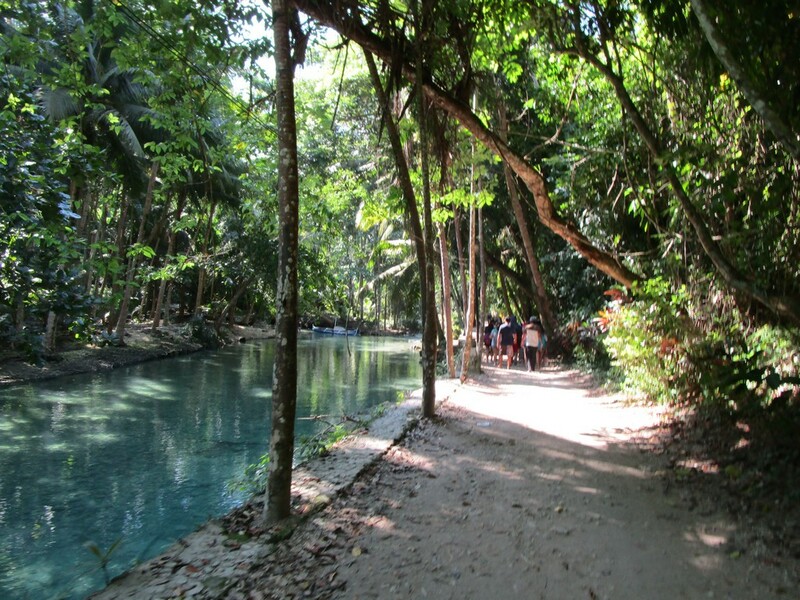 There’s new adventure there in Kawasan, they called it “Canyoneering”, (that is somewhere posted in this blog later) that ends up right here – Kawasan! 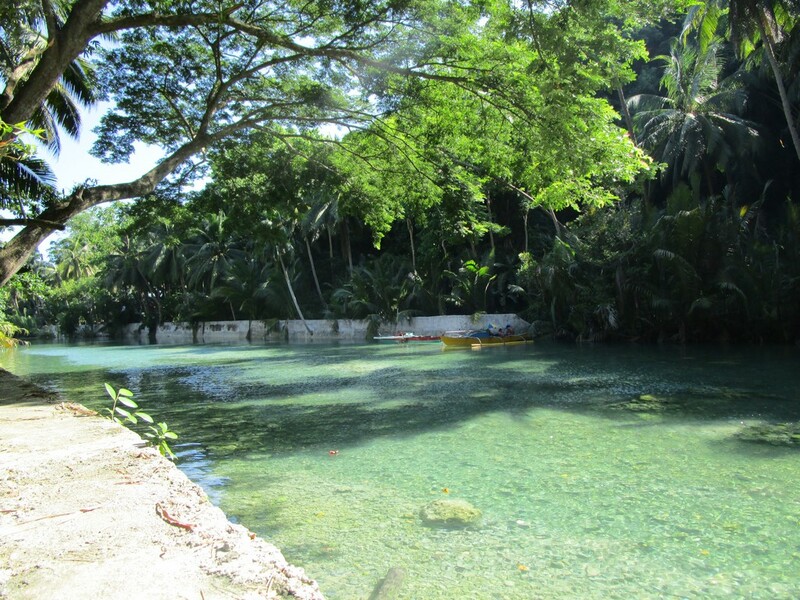 You can rent a raft (300 php) to take you around for a “shower massage” under the falling water. That’s good for one hour. Life vests are also available for rent. 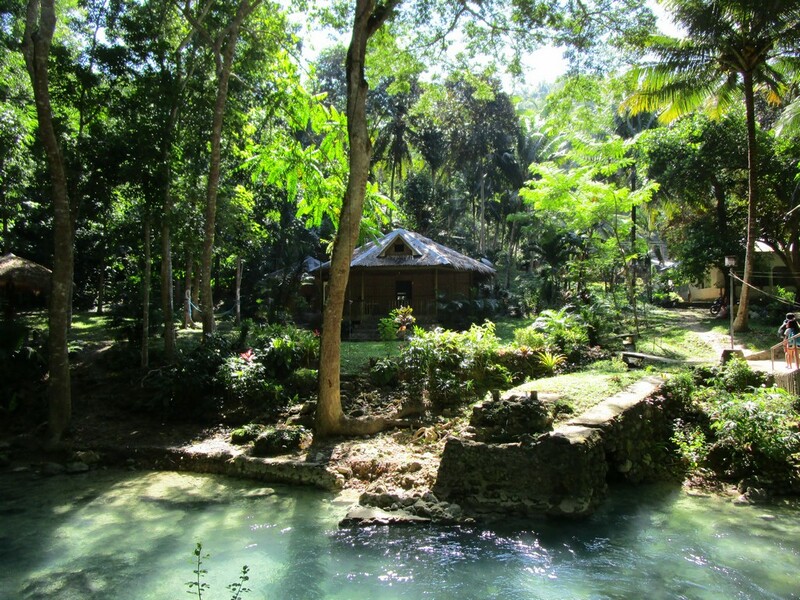 Cottages can be rented between 1,500 to 2,500 peso and tables 500 peso. It’s quite booming around here, there are already rooms for rent overnight if you would like to stay. There are already several stalls and stores in this area. Some are selling foods and drinks, some displays for rent items like life jackets, swim goggles and lot more. 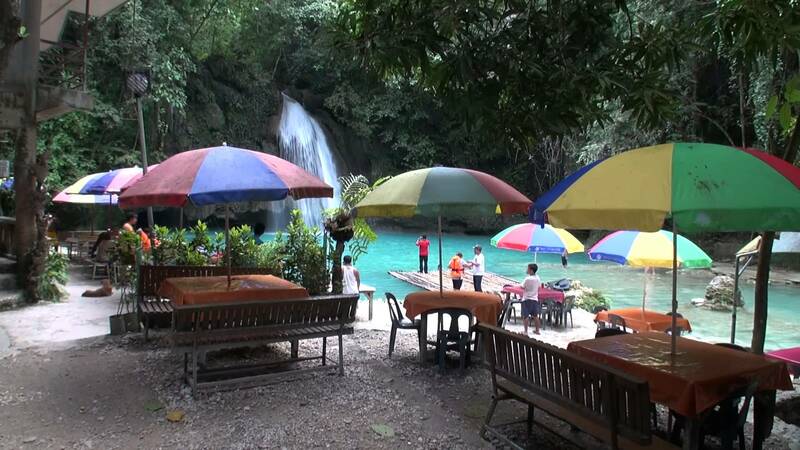 During peak season, this place fronting the falls is overcrowded, really! 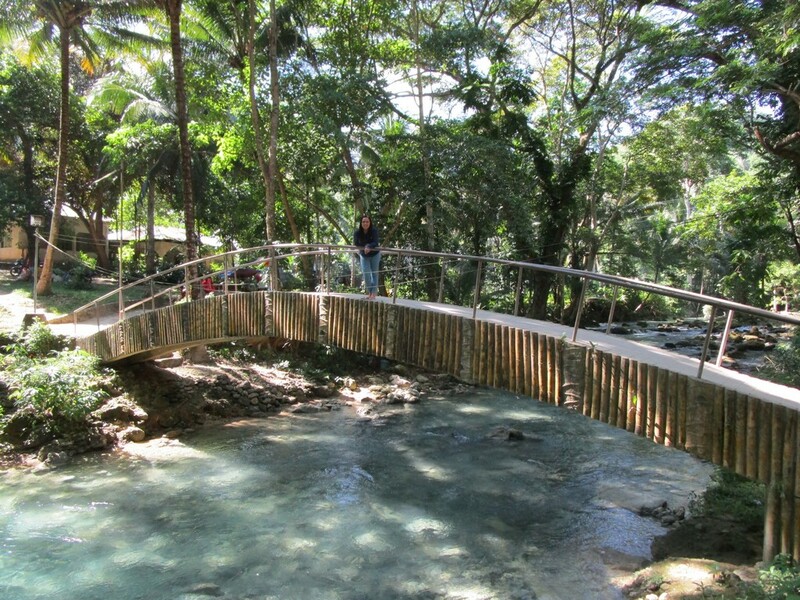 What else to do in Badian? Canyoneering.. is a great adventure..